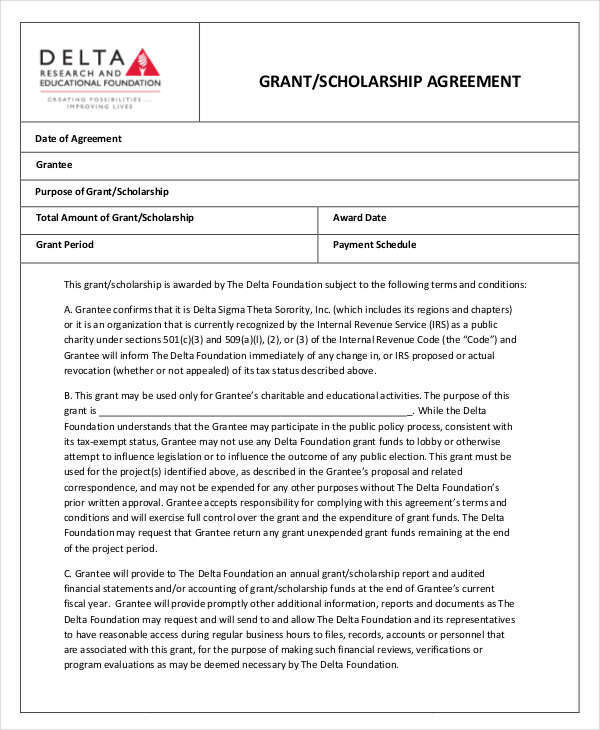 Scholarship-granting foundations, organizations, and individuals are concerned with ensuring that the scholarship grants that they bestow on prospective or actual students are not going to waste. 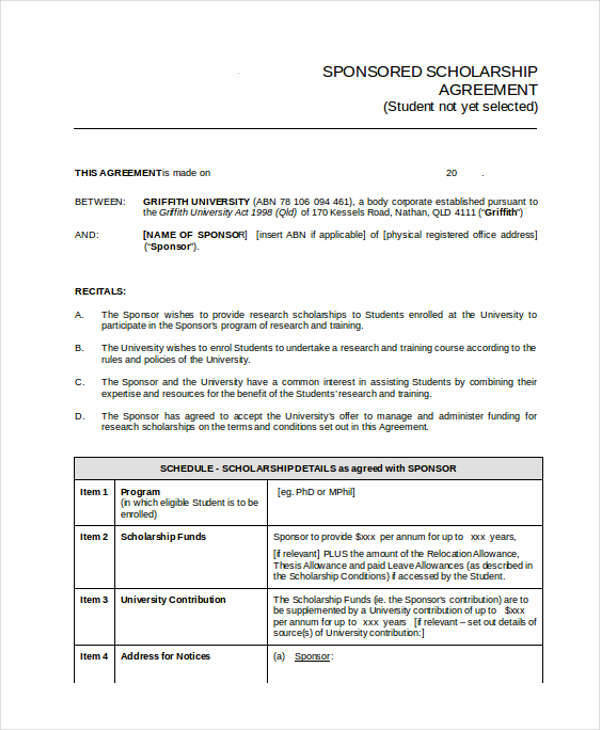 One way of ensuring that the student accepting the scholarship would put it to good use is through the signing of a scholarship contract. 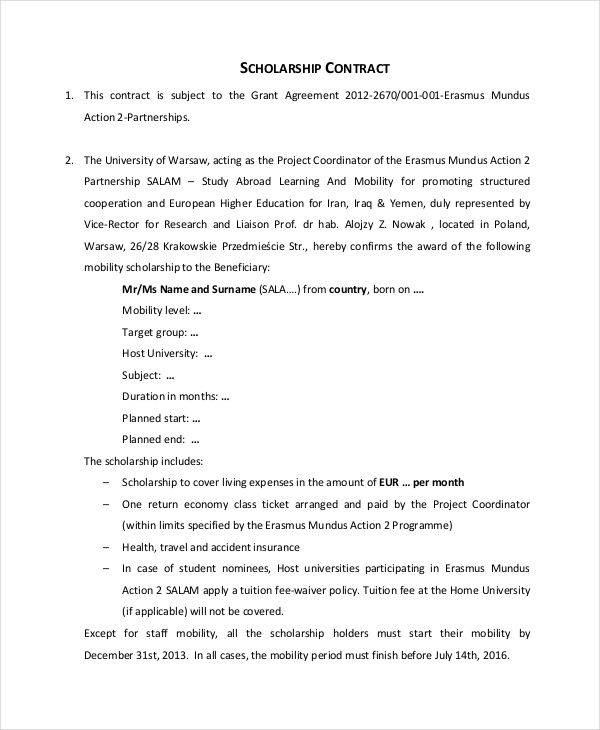 This contract just like kinds of contract agreement is legally enforceable thus motivating the students to use this scholarship only for the sole purpose of completing their educational goals. 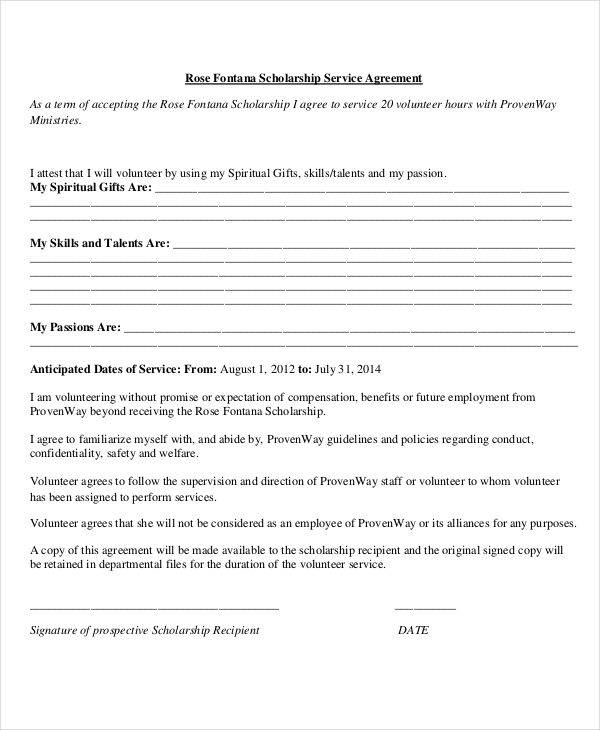 Are you an administrator of any scholarship-granting body or organization? If so, then you must be well-equipped with the working knowledge on how to create a scholarship contract. 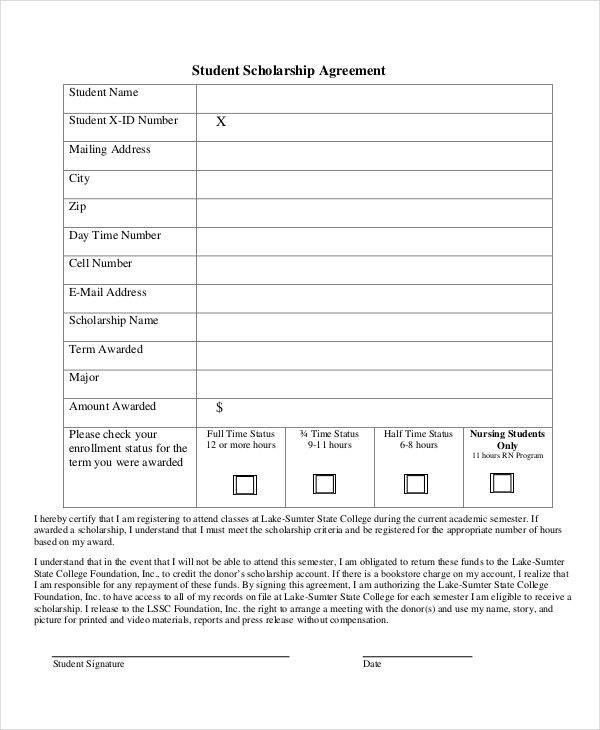 On this page, we have student contract templates that you may download easily for your use. Scroll down below and select the templates that suit your preferences! 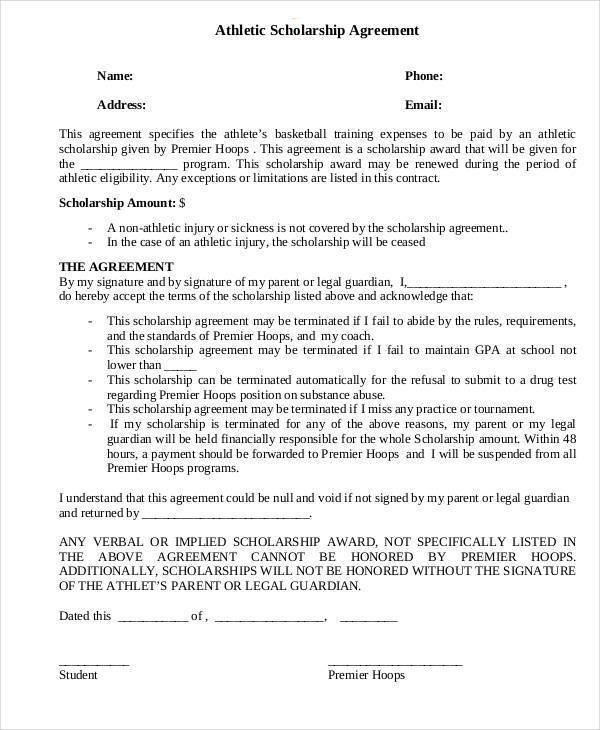 What Is the Importance of a Scholarship Contract? Speaking of contracts, we can provide you with a wide variety of Business Contract templates, which are immensely useful within the business setting. Vehicle-selling companies can download our Automobile Sales Contract. On the other hand, if you are a wizened operations manager involved in providing business management services to startup or established companies, then you may find our collection of Management Contract templates of great use. We also have Independent Agreement Contract templates for freelancers and contractual workers. To access theses templates, simply click on their respective links. What Are the Significant Inclusions of a Scholarship Contract? For future contractual needs, you can also check out our collections of Purchase Agreement Contract, Horse Sales Contracts and Vehicles Sales Contracts. To access these templates, simply click on their links.